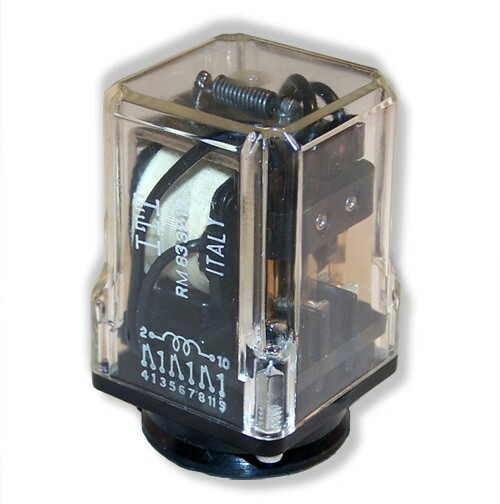 The correct relay used on the Ghost Trap's pedal was the RM833212 made by ITT. This relay was a 3PDT, and it was placed on the project box by way of a socket. It is an 11 pin style relay with pins placed in a circular order. The socket is an Omron pl11 with soldering pins on the bottom.